In the interest of transparency, my intention for this blog is to get you excited to either attend, volunteer, directly sponsor or influence sponsorship of this conference in the future. Why? Through this blog, I hope to show you the importance and value That Conference brings to the technical community. I strongly believe that the executors of this conference deserve your time and investment for their effort and I hope to see this concept be replicated in other regions. Let’s start with the keynotes. I love to be inspired, and like most of us, I love a great story. In the first keynote of the conference, Elizabeth Naramore delivered on both. Elizabeth is on the Community Team at GitHub and titled her presentation, “Ripples on the Pond”. You can find her at http://naramore.net/blog/. The essence of her presentation was that we can truly have a positive impact in the tech community by erasing fear, uncertainty and doubt through sharing our positive character traits and values with the community. Her speech was passionate and her delivery was exceptional. With this as a backdrop, let me dive into the most inspiring parts of the conference for me. As this was my first time attending That Conference, I had glanced over the GiveCamp session as it started on Saturday and I wasn’t planning to arrive until Sunday. As I waited in line on Tuesday evening for the pig roast, I struck up a conversation with a gentleman in line behind me. He had helped with GiveCamp and explained that they were building a Humanitarian Toolbox to help support disaster relief. As the conversation continued, he sounded very passionate about what he was doing, which drove me to look more into what this was all about. The effort around GiveCamp is just amazing and shows a great way for us as technologists to use our skills for a greater purpose. If you would like to know more about this effort, check out the humanitarian toolbox website at http://www.htbox.org/. Now let’s turn to the conference sessions. I’ve been challenged when it comes to getting my nine-year old daughter excited about coding. Over time, I’ve discovered that she is fearful that she will fail when I try to teach her something. Case in point, during the first session of the conference, I tried to help her with learning basic HTML to build a Choose Your Own Adventure game. It was a great session held by the Chicago Coder Dojo, which can be found at http://coderdojochi.org/. Ten minutes into the session, she wanted to leave. Then she melted down: “Dad, this is easy for you because you do it every day!” “I CANT do this!” “This is too hard!” “[the speaker] is going too fast!” As time went on, several mentors helped her, but she was still pretty unhappy. Next, we attended the first family session on Monday, “Teaching Kids to Program”. The session was run by a twelve-year old by the name of Emily Davis. To start with, she displayed some apps she had written. I got a little nostalgic, remembering similar types of games I built when I was a kid. It took me about fifteen minutes to notice that not only was a twelve-year old girl captivating an audience of complete strangers, but this kid was really good at demoing! Leaving the session, my daughter suddenly showed interest in wanting to finish the CYOA game that we started the day before. Needless to say, I was excited to help her. I attended two more sessions run by kids, one around lego mindstorms and one around the Scratch programming language. Once again, each of the kids was poised and had a great presentation. During the lego mindstorms discussion, I noticed something else interesting. As the father of the presenter talked, several kids in the session were also talking in the background. Once the daughter began to speak, without being hushed, the kids in the room suddenly stopped talking and barely said anything for the rest of the presentation. Needless to say, the psychologist in me is absolutely intrigued. My question to you is, how do we continue to harness this? As a 12 year old kid, I was learning computers in a complete vacuum. I was an outcast at school and didn’t find people who shared in my interests until I was halfway through college. What if other kids were inspiring me to do things at an earlier age? Perhaps this is a real key to growing our tech community. 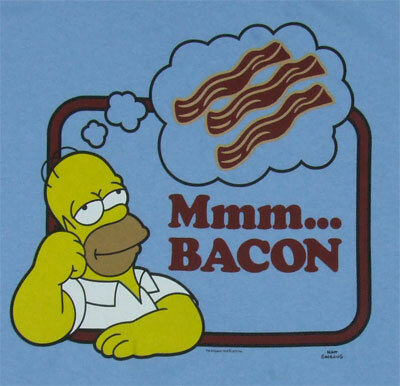 Now, I love bacon. That Conference had bacon. As a result… I love That Conference. First, there are just some incredible people in the Midwest. I met some great people from all walks of life and background. There was no doubt that this conference attracted some great minds. It showed through in the questions asked during the sessions, the quality of speakers and the discussions in Open Spaces and over bacon. I mentioned the bacon, right? Even potatoes were being wrapped in bacon! As I noted earlier, there was a lot of quality to the Open Spaces discussions. I attended two of them. The first one I joined was around tech leadership. In a short period of time, we touched on a lot of great topics. It was good to hear about different team structuring, how leads were influencing their teams and how leads were positioned in their teams. The second Open Space I attended covered the topic of turning a development team into a community. Again, a lot of great advice and experiences from the participants. We delved into several ways to get team members engaged in continuous learning, including book clubs and lunch and learns. We also touched on many of the challenges we face with inspiring our colleagues. The after-hours activity was top notch. Monday night was game night. Tuesday was a pig roast and late night water park party. Wednesday was a bacon bar and S’Mores. It gave the attendees multiple opportunities to socialize and resulted in some great conversations, which I always feel is at the center of any conference. There was… okay, I’ll stop. No more bacon. Finally, the volunteers, organizers and sponsors deserve huge thanks. There seemed to be an orange shirt at every turn. The entire conference was very professionally run and had an energetic, positive vibe, which I believe trickled down from the volunteers and organizers. The sponsors had some great stories. I couldn’t begin to list out all the places I spoke with, but if you want to find out more about these companies, check out the sponsors page at https://www.thatconference.com/Sponsors. The sponsors also gave out some great gifts; though, I’m never going to hear the end of it from my family of Bears fans after my daughter got the $100 gift card to the Packers pro shop. So, in a nutshell: inspiration, community, learning, fun, technology and bacon. In all seriousness, I hope this helps to get you excited about what this conference is and what it could continue to grow to be. From a somewhat selfish point of view, I would love to see more Java-related discussion and attendance, including what is going on around Spring, Groovy and Scala. While I don’t think this format of a family-oriented conference could be applied to every tech conference, I certainly could see this specific format of a family-oriented conference being repeated in other cities. If this post is inspiring you as much as I was inspired as an attendee, I hope you will either attend, volunteer or sponsor the conference next year. My daughter is already counting down the days. You can find ThatConference at https://www.thatconference.com/.